Push code, get enterprise-class infrastructure. Develop and test your Serverless projects locally like in production. Use your favorite frameworks. 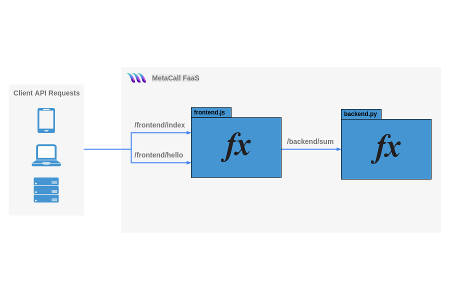 MetaCall will convert your code into a Function Mesh and auto-scale individual hot parts of your app. Simplify things and speedup time to market. Focus only on your business logic and forget about DevOps. 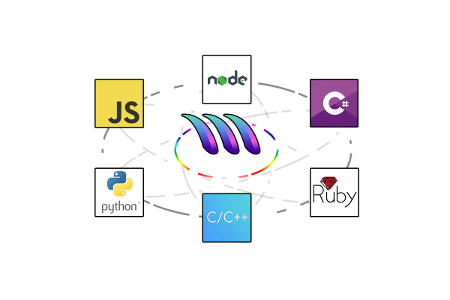 MetaCall is a library which allows you to execute code written in a given programming language from within different programming languages. A new way to develop distributed systems that has never seen before. Are you interested in the private Beta? Subscribe to get early access. Get notified before gates open. Copyright © 2018 - 2019 MetaCall. All Rights Reserved. Some of our servers are just lazy, try in a few minutes!